Why should your choir buy an iPad? In the first post in this series, I talked about why my choir, Boston Choral Ensemble, decided to purchase our first iPad, and how forScore helped digitize our library of sheet music. We also use our iPad to help us sell tickets and collect donations. When I first joined BCE, we sold tickets online by embedding PayPal buttons directly into our webpage. That method worked, but it was difficult for our administrator to set up, clunky for our audience to use, and prone to breaking in strange and sudden ways. On the day of the concert, we would give a list of ticket buyers and a cash box to our ushers and hope for the best. If you wanted to purchase a ticket at the door, you had to pay with cash or check. People would regularly walk away because they couldn’t pay with a credit card. My first act as BCE’s Treasurer was to sign us up for a Square account. At the time, Square was the only credit card processor that offered a simple payment structure, an easy way to manage your account online, and a card reader that turned your phone or tablet into a mobile payment processor. Since then, several other companies have entered the market offering a similar product. PayPal Here and Intuit GoPayment are notable alternatives for organizations already committed to the PayPal or Intuit QuickBooks families. Each option has its merits and it’s a smart move to sign up for two different platforms in case one has an outage on your concert day (which actually happened to us back when we were using Paypal). Square automatically deposits funds directly to our bank account. Several competitors offer automatic direct deposits, but setting them up involves reading and agreeing to an additional contract, making sure your account is in good standing (whatever that means), and limiting the amount you can deposit within a given timeframe. 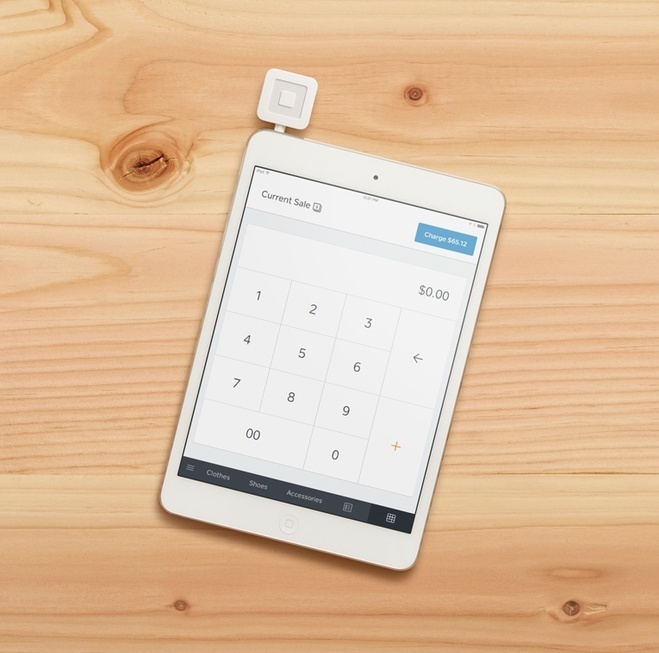 With Square, our money shows up in our bank account within 24-36 hours of the transaction, no intervention needed. Square can sell and track everything, including donations and cash purchases. Once you’ve set up Square with each of the items you’re offering (e.g. tickets, donations, etc), you can use the Square Register App to collect payments. Ushers select the appropriate items, click the giant “Charge” button, and then either swipe the customer’s card or mark the sale as cash. The customer signs for the purchase, can opt for an emailed receipt, and the transaction is complete. If you need to issue a refund, you can easily do so right from the app! Square has simple but useful reporting. Want to know how many people purchased a particular item for a given time frame? No problem. Square can provide that information in 5 seconds. PayPal offers similar reporting, but it is buried under a mountain of data. That’s great if you are a data scientist, but bad if you’re a regular user who just wants to know what you made at Sunday night’s performance. BCE now has an accurate attendance and money count within minutes of a concert ending. Square can accept credit card payments even when you’re not connected to the internet. Two years ago, we were planning on using PayPal Here to sell tickets for a concert, when PayPal experienced an unplanned outage. Thankfully, we were able to open the Square Register app and sell tickets as planned, but this could have been a dangerous situation. If you’re using Square Register and you are in a venue where you cannot connect to the internet or where the Square network is down, Offline Mode will save swiped card transactions for processing up to 72 hours later. 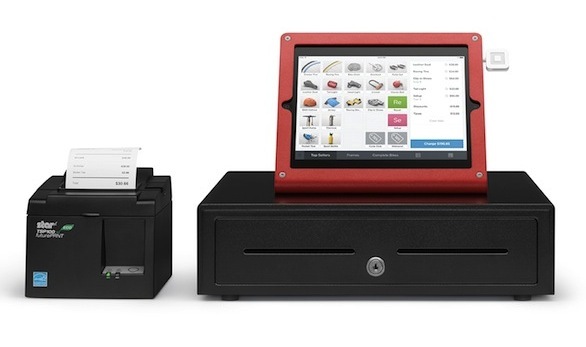 There are several add-ons for the Square ecosystem to make the experience even more seamless (iPad stands, wireless receipt printers, and cash drawers), but these aren’t necessary. We use our iPad, a cash box, and a third-party ticketing app to check in audience members who purchased tickets in advance. As for the question of buy vs borrow, using a chorus-owned iPad (instead of a borrowed one) offers several benefits. Square Register is always pre-loaded and ready to go, we don’t have to provide our ushers with sensitive login information, and our device always comes fully charged and never has a cracked screen. We simply open the app, give a 5 minute demo to our ushers, and we are ready to open house. With Square Register, our iPad, and our app-based check-in system, managing our front of house has never been smoother.